This is your invitation to our 2019 Year 9 Family BBQ taking place on Wednesday 13 February from 5pm – 6:30pm. We hope that all Year 9 students will be able to attend with their family and whānau. 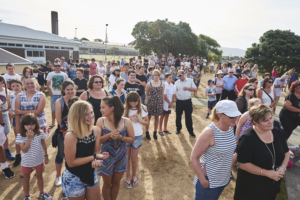 The event will be taking place near our Pavilion on the back field at Paraparaumu College. This is an opportunity to informally meet with some key staff and students who will be working with Year 9 students this year. All food and drink will be provided and we are able to provide a gluten free option. If you have any other dietary requirements, please feel free to bring your own food. Please RSVP by Friday 8 February at the latest for catering purposes.